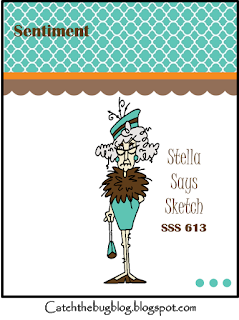 Hello friends, it's time for a new Stella Says Sketch Challenge at Catch The Bug. 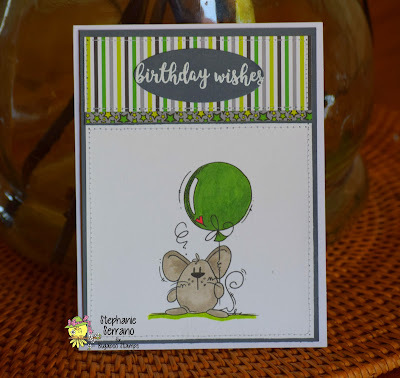 I am using Mouse Big Balloon, colored with copics and the paper is from Doodle Bugs, I know, I know, I strayed from the sketch a little bit but it still works. Play along with us for your chance at 4, 7 or 10 digi images from Bug A Boo Stamps. You so not need to use a Bug Image but we would love it if you did. This is so adorable. Love your coloring. Very cute card, Stephanie! I love the mouse image and your coloring looks great. Your card is maybe little bit too layered for our clean and simple challenge but I do love it anyway -the use of neutral grey card was a great idea. Beautiful details. Thanks for joining us at Less Is More! Love this little guy, gorgeous colouring Thank you for joining in the challenge at Crafty Calendar. 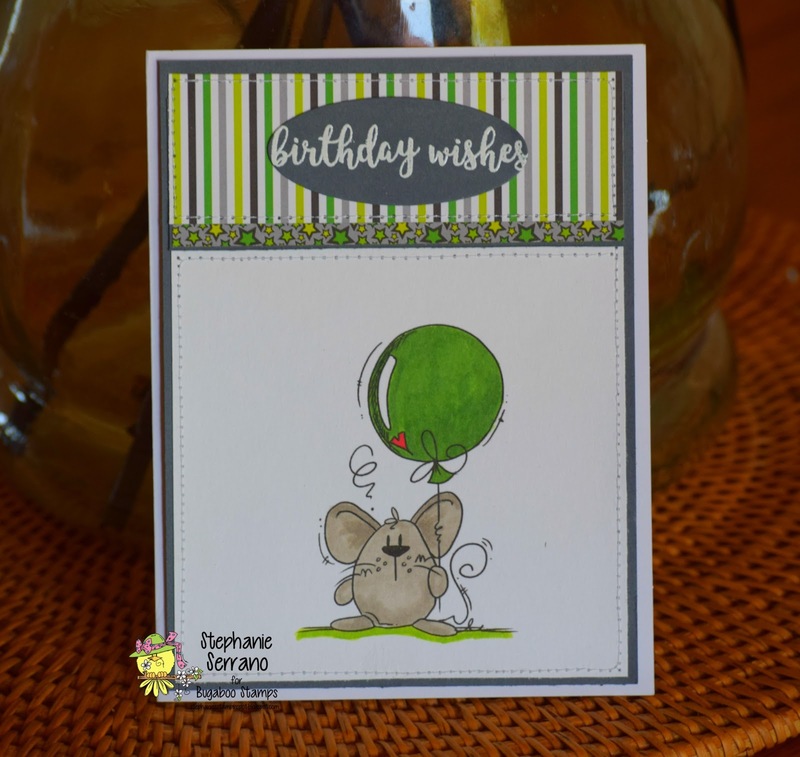 Great coloring on the cute mouse, Stephanie, and the patterned papers compliment each other beautifully. Thanks for sharing your card with us at Addicted to CAS.